JVC Launches Stylish iPod Cradle Speaker ! 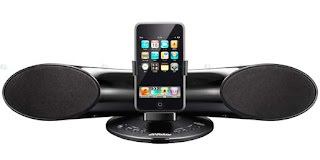 This is a new model speaker known as iPod Cradle Speaker. The name of the speaker is XS-SR3 available in both white and black. These speakers are especially made for iPods Mini, Nano, Photo, Video, classic and Touch. It looks nice and it has a 2.5Wx2 Cradle speaker, features an analog and digital external input, DSP and even arbor the Virtual Dolby Surround Logo. 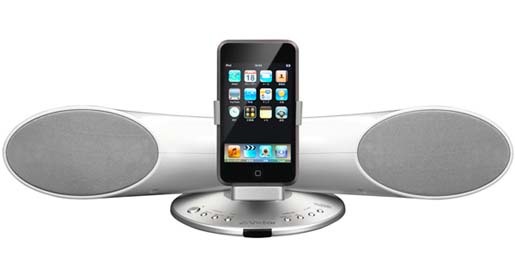 Moreover, along with this speaker you can have remote with the possibility to control your music experience comfortably.